This 5 day safari to the Greater Kruger area is a must do luxury experience. Enjoy a once in a lifetime experience in the greater Kruger area. The first 2 nights will be spent at a well-known destination for local and international visitors. Thornybush has earned its reputation as one of the country’s finest bush experiences, situated within 14 000 hectares of pristine wilderness, adjacent to the Kruger National Park. After 2 days here you will be transferred to Sabi Sands area for another 2 nights accommodation at Sabi Sands. 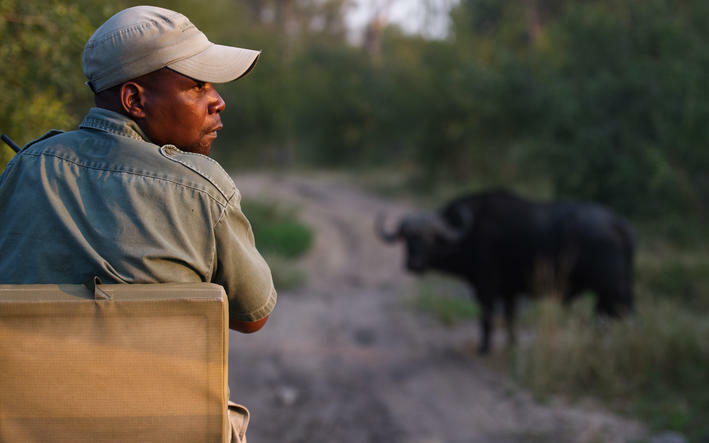 It was here that the Southern African safari began and today this famous reserve offers exceptional game viewing and equally exceptional accommodations. Two perennial rivers, the Sabi and the Sand flow through this Game Park, sustaining the diverse fauna and flora of the area. The success of leopard viewing within the Sabi Sands is legendary.